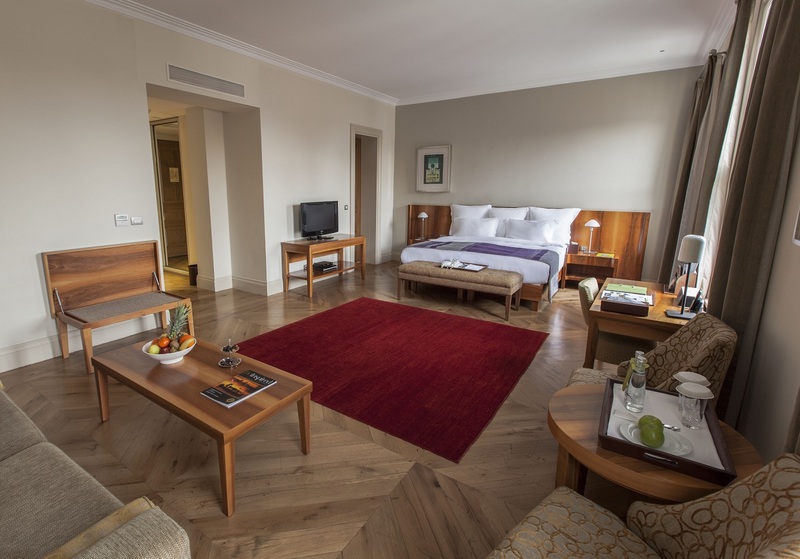 Tomtom Suites is the perfect hotel to stay in when visiting Istanbul. Nestled in the artistic heart of the city, but hidden away on a charming cobbled street, you will feel like you are the only person in the world, which in a city that is full of wonder and flurry can be difficult to find. 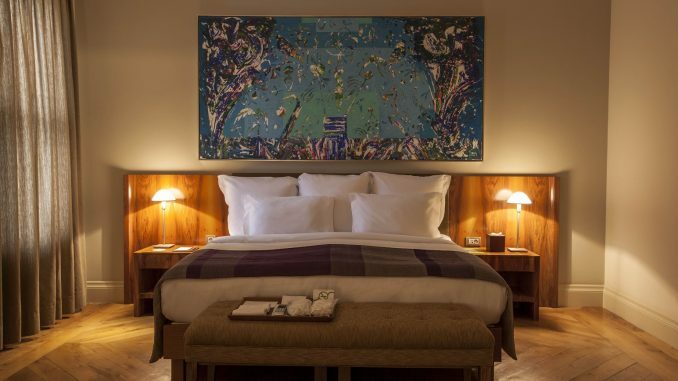 The Tomtom Suites are located close to everything you need to experience Istanbul in style: Galata and Beyoğlu, where you will find art galleries, restaurants and nightlife. To get to Sultan Ahmet, the old town, there is a tram situated just a short downhill walk from the hotel. 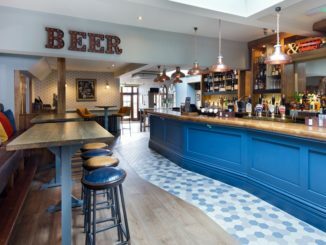 The building has existed for over 100 years and at times fell into disrepair; the new and modern hotel has been lovingly created with respect to its roots as a Franciscan Nunnery, whilst fashioning an enduring sense of luxury. 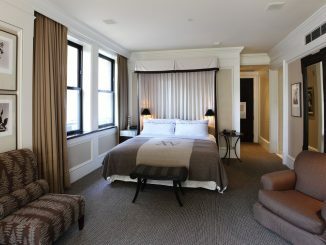 There are 20 spacious suites available and each have been restored to the highest standards with Jacuzzi baths, Molten Brown toiletries, and free Wi-Fi made our two-night stay as comfortable as possible. 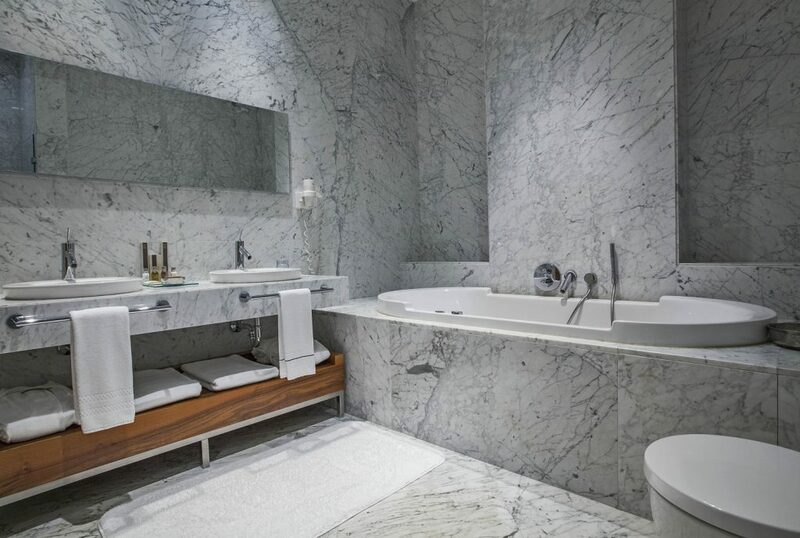 Although there are no spa facilities, there is an option to have an in-room spa for total relaxation. The concierge service, as one can expect, speak fluent English and were on hand to provide 24-hour assistance. We didn’t hold back on any requests and they swiftly catered to our every need. There is a small contemporary art gallery and library at reception, resplendent with books about the art, history and culture of Istanbul. We enjoyed a few idle hours here playing intense rounds of chess with the other guests. The room price includes a buffet breakfast which is served on the top floor terrace overlooking the Bosporus, with freshly brewed coffee and Turkish tea, and a display of our favourite breakfast items. The eggs menu offered everything from boiled all the way to Menemen, a delicious Turkish scrambled omelette with vegetables. In the evenings the terrace becomes Nicole, a restaurant that enjoys its notoriety on Istanbul’s top restaurants lists. A four-course meal with wine is around £50 per person and is the perfect accompaniment to a warm Istanbul evening. The French/Turkish inspired cuisine is seasonal, so diners can expect a new menu every six weeks. Tomtom Suites does what a boutique hotel does best, it offers a luxurious safe-haven away from the bustle of the city. It makes you glad to go back to your hotel room in the evening. 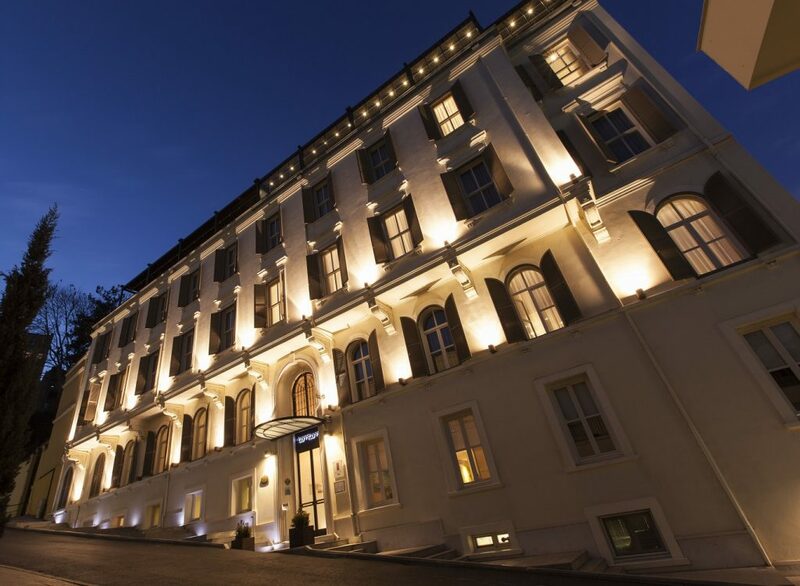 It offers the chance to see the many facets of Istanbul without feeling like you’ve left luxury behind. It has an unstated elegance that comes from a love of tradition but with an eye on the future. 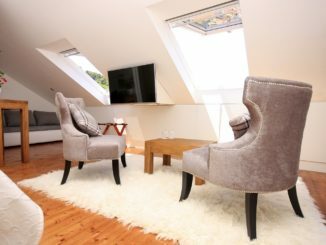 Tomtom Suites are very much like Istanbul itself, steeped in culture and full of magic, where you can be sure of a professional service and an unforgettable break. Airport pick up and private transfer to the hotel is available if you book prior to travelling by emailing: info@tomtomsuites.com. If you prefer to take a regular, metred yellow taxi, its best to print out the helpful location document made available on the hotel website. Alternatively, call the hotel front desk personnel who can provide directions to the taxi driver. Istanbul’s “HAVATAS” Airport Shuttle departures run every half an hour. Taksim Square is the nearest station to the hotel, which is a 20-minute walk or 5 minutes by taxi. Rail is another way to reach the hotel if you land at Ataturk Airport. But only if you do not have much luggage. Take the Metro from the Airport to Zeytinburnu station, and transfer to a tram, which is a two-minute walk from the station. Alight the tram at Tophane tram station which is a five-minute walk to the hotel. Number of Rooms: 20 suites including complimentary Wi-Fi. Insider Tip: Be sure to book your table at Nicole Restaurant in advance to secure a seat with the best view of the Bosporus. Liz Tecirli is a freelance travel writer specialising in adventure travel, extreme sports and luxury breaks.